The 4th of July is one of the busiest days of the year at animal shelters due to the fact that household pets become frightened by fireworks and escape from their homes and yards. 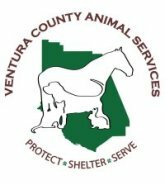 According to Donna Gillesby, Ventura County Animal Services (VCAS) interim director, VCAS operations are being pushed to the limit due to the fact that more than 140 stray dogs have been taken in at the Camarillo and Simi Valley animal shelters since July 3. Unfortunately, many of the animals were not properly collared, licensed or microchipped making owner identification challenging or impossible. VCAS posts photos and descriptions of all animals on their website at www.vcas.us. If an animal is not reclaimed within the state-mandated stray holding period, it is put up for adoption. For more information, call VCAS at 1-888-223-PETS (7387), 805-388-4341 or visit www.vcas.us.